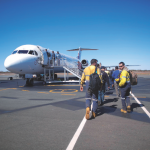 In an Australian first, the Western Australian Government has launched a code of practice that focuses on promoting and maintaining mentally healthy workplaces for fly-in, fly-out workers in the resources sector. 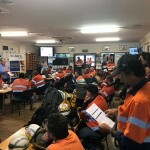 New Acland mine in Queensland, in partnership with Lifeline Darling Downs has raised funds to heighten community’s awareness on the importance of mental health and wellbeing. Almost 100 per cent of Gold Road Resources’ leaders and 80 per cent of its employees have been certified in mental health first aid. 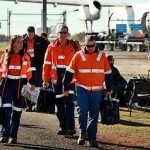 Rates of psychological distress, workplace bullying and burnout were found significantly higher among fly-in fly-out (FIFO) workers than their non-FIFO counterparts, one of Australia’s most comprehensive FIFO research studies has shown. The New South Wales Government has committed to a $90 million investment toward zero suicides by 2023 – a massive spike from its $8 million funding across four years in 2016. 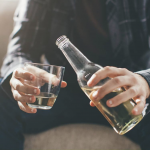 One in three young Australians aged 12 to 25 were reporting high to very high levels of psychological distress – a figure that has tripled in the last decade. 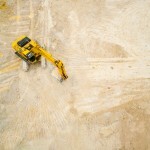 New South Wales has revised its targets and commits to reduce work-related fatalities by 30 per cent, and injuries and illnesses by 50 per cent within five years. 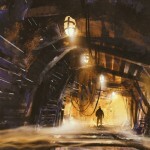 Mining companies have joined hands with more than 1000 construction and business sites to help prevent suicide in an industry where it is six times more likely that a worker is lost to suicide than a workplace accident. 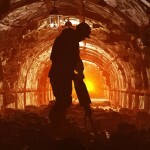 The McGowan government has released an updated draft code of practice to help create mentally healthy workplaces for fly-in fly-out (FIFO) mine workers in Western Australia. 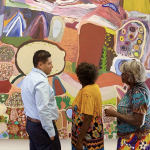 Aboriginal Health Council of Western Australia (AHCWA) has allocated $1 million of funding to improve the health and wellbeing of Aboriginal communities including the Pilbara, Kalgoorlie and Kimberley regions. 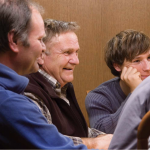 Mental health and wellbeing of men living in remote Western Australian mining communities are being placed at the forefront in the Pilbara during Men’s Health Week (June 11-17).